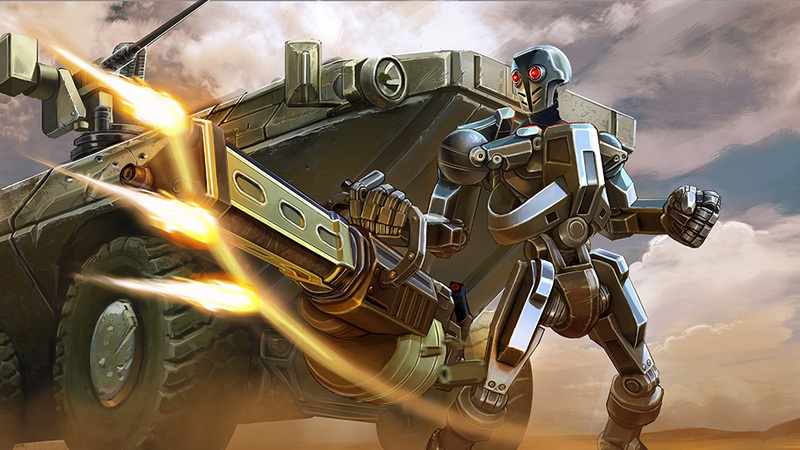 Yesterday, Super Evil Megacorp made two major announcements for its hit mobile MOBA, Vainglory. First the details for the first official eSports tournament, hosted by ESL, were revealed; then the Skin system was introduced to players for the first time. 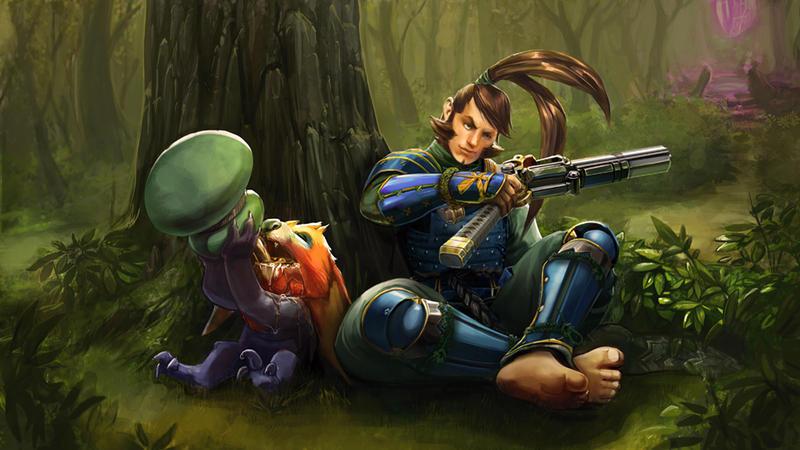 We had the opportunity to sit and talk briefly with Kristian Segerstrale, COO and Executive Director, to gain more insight into these important milestones for Vainglory. Kristian: Today’s a big day for us, because of the ESL announcement along with the update going live. This is the biggest update to the game ever. We’ve been pretty diligent about putting up updates every 4-5 weeks, and we’re finally launching the highly anticipated skin system. So far the community has been really happy and we’re excited to work with them to see where the system goes from here. Jaime: Let’s talk about the ESL announcement first. I noticed that it’s currently set in Europe. Is there a specific reason why this tournament is located only in Europe, and when might North America see something? Kristian: We actually started our preparations for ESL as early as last summer, and we’ve been incredibly impressed with them as they are a nearly a decade old eSports organization. They have been incredibly good at helping us think about the approach to eSports in general. Our dream at the end of the day is to make a game that’s just as fun to play casually with your friends at home as it is to play at a world class level in a stadium. This represents our very first step into eSports and one of the first for touch screen eSports. The reason we’re jumping into this in a small scale and testing the waters in Europe is because we’re actually hosting cup series at the ESL headquarters in Frankfurt. By hosting it there, we are both committed to learning as much as humanly possible about hosting eSports, and how to improve and scale up globally to ensure we have great Vainglory competitive environments in every region. To be honest the Vainglory community’s already organizing tournaments around the world so we’re very excited to be supporting those. This first official cup series is helping us so we can work with the community how to build the best eSports for Vainglory and improve from there. Jaime: What will the prize pool will be like for this particular cup series? Kristian: There is a grand prize of 1000 euros, plus NVIDIA Shields for the winning team. The individual bracket competitions also have small prizes associated with them as well. We want to emphasize, though, that this is our very first foray into eSports: it’s not about the size of the prize pool, but meeting the demand for competitive play in Vainglory. It’s important for us to start small and cautiously so we can work with the community and build out from there. Jaime: What are your plans after the tournament in order to take a look at the data and experience and continue the eSports development? Kristian: We want to build things one step at a time in close collaboration with the community. We believe very much in learning together with our community. Our plan is to kick off this cup series, learn what we can from it, and determine our next steps from there. I think our ambition and dream is to build the competitive Vainglory scene the way the community wants it to be. We’re taking a small baby step into what we believe will be an exciting world. Jaime: Let’s shift to the skins update now, where players can find component cards in the spoils at the end of the match and use them to craft skins for their heroes. Are the cards that you obtain from spoils going to be tradable at all? Kristian: They are not tradable at this moment, but it is an intriguing prospect. This skin update is the very first in a series of updates that will build up the skin system over the next couple of years. What we launched today is the very basic building blocks, the idea of skin tiers and cards. We will be building on those concepts over the coming months and years. So today, there is not any kind of tradability, but it is an interesting idea. Jaime: Will all the cards be obtainable via spoils, or will any cards require a microtransaction purchase? Kristian: There are four tiers of cards, common, rare, epic, and legendary. Today we only launched the first two tiers of cards, but even as the other tiers get launched, they are all earnable through spoils of war. Of course, the rare cards will be pretty rare. Jaime: Let’s say a player is only missing one card from what they need to craft. Will they be able to purchase that card at all? Or will they be stuck working hard to get the card from spoils? Kristian: Currently there is no way to purchase cards, but we do have a cards market that we are working on so that you can purchase cards you’re missing. Jaime: What are the odds like for being able to obtain cards in spoils? Kristian: You will not receive a card in every game, but we want you to receive cards fairly often. You won’t see cards after every game, but the more games you play, the more likely you are to find them. Jaime: Are cards consumed when used, or do they remain permanently on the account? Jaime: One of the issues I was seeing mentioned by the community in response to this update is the ice cost of the tier one skin cards. Is this just an option in addition to crafting the card? Kristian: Correct, there’s nothing in Vainglory at all that cannot be get by playing the game. You can unlock them with ice if you don’t want to take the time to earn them. But you cannot purchase any additional tiers with ice, they have to be crafted. Jaime: And the cards/skins are completely cosmetic, correct? Kristian: Right, they have no other significance or effect on gameplay. Jaime: What kind of general timeline do you think you’ll have for getting the next step out there for the skin system? Kristian: We are pretty diligent in launching an update every 4-5 weeks, so with that kind of cadence it won’t be long before we’re adding more skins and features. Jaime: Thanks for your time Kristian. 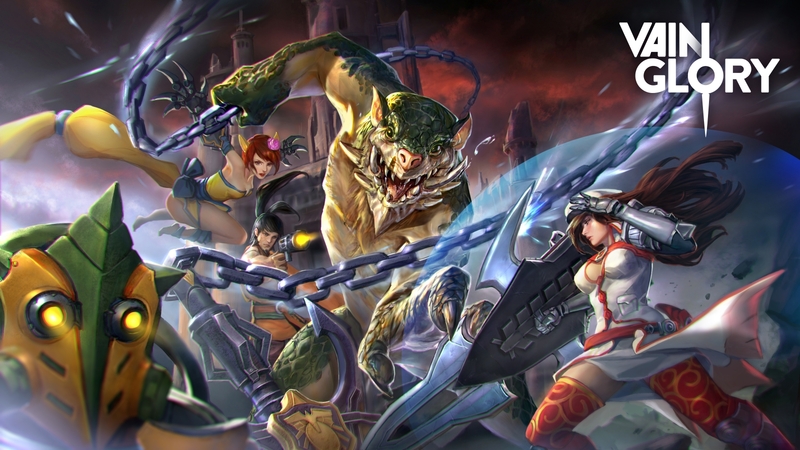 If you want to learn more about Vainglory and these updates, check out their official website http://www.vainglorygame.com/.